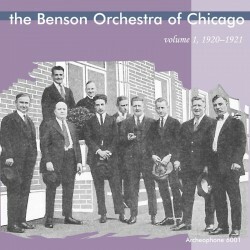 Complete releases from sessions between September 1920 and September 1921 in Camden and Chicago; 26 tracks and over 79 minutes total. A packed 28-page booklet reveals previously unknown details about the life and business of impresario Edgar A. Benson, the man who controlled the dance-band scene in Chicago for many years. This is the band that popularized "stop-time" rhythm and launched the career of pianist and arranger Roy Bargy, later of Paul Whiteman's Orchestra. 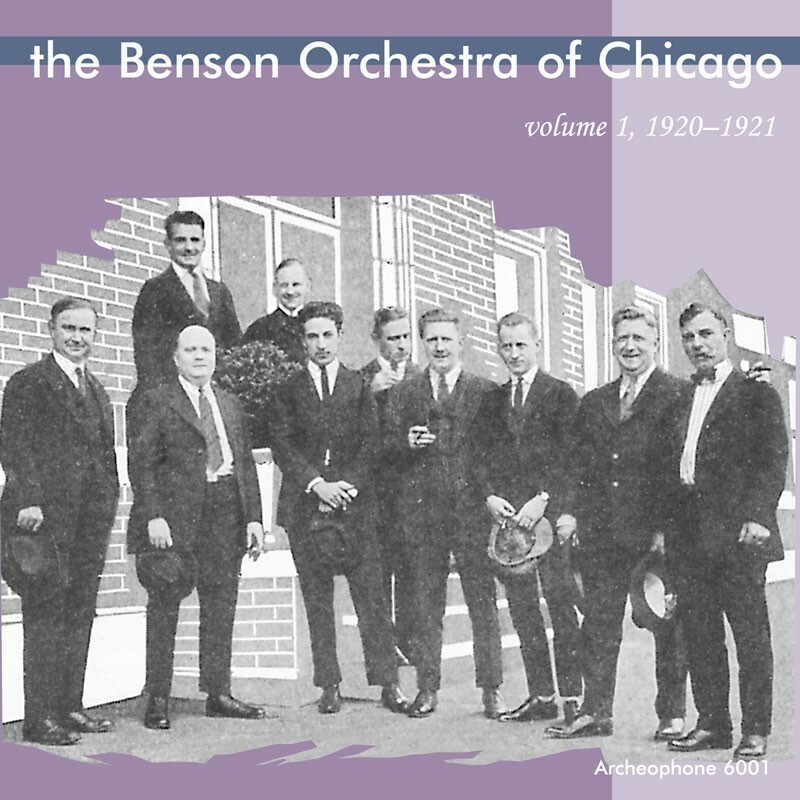 Visit The Benson Orchestra of Chicago, Volume 1's expanded catalogue page to see the complete track listing, read an extended description, and listen to sound samples.